Temporary Exhibitions at the Museum. 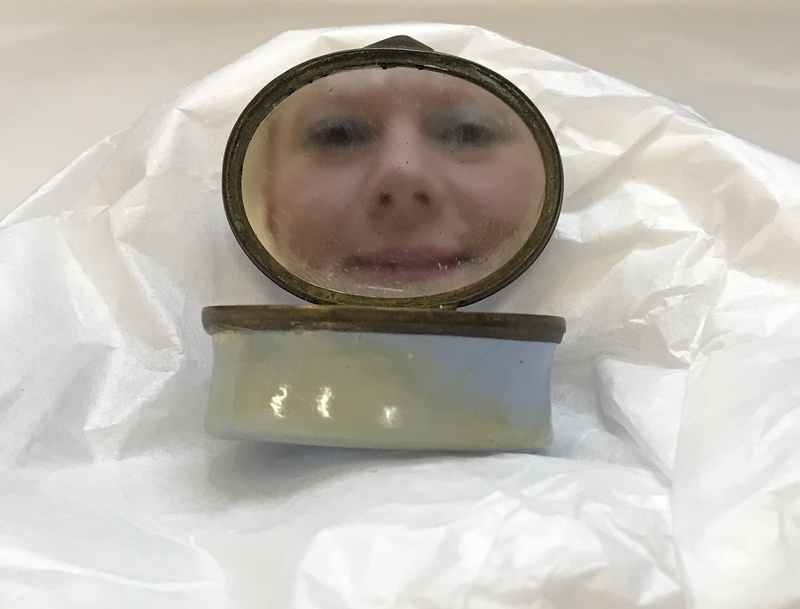 For February’s Hands on History session, ‘Looking Glass’, I have chosen several unique objects from our collections that incorporate mirrors in their designs. 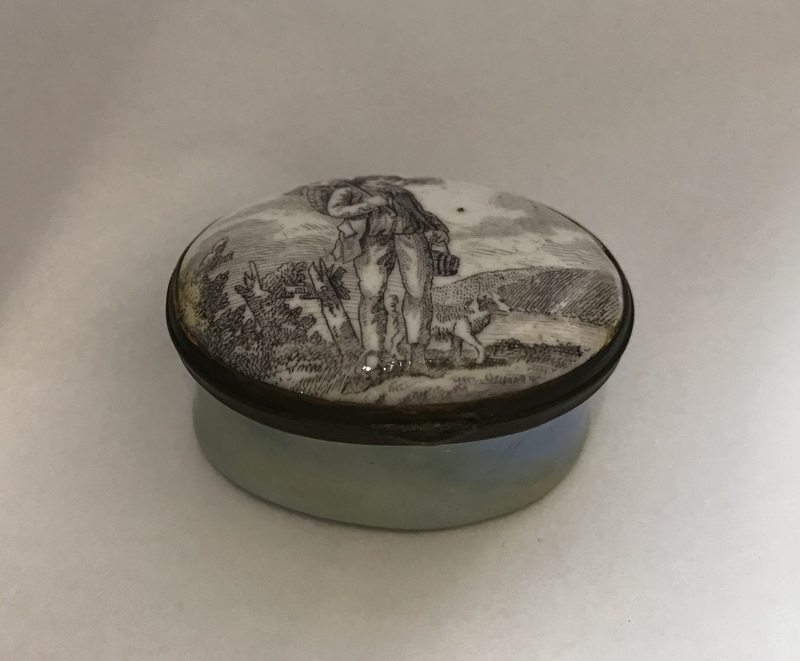 A lovely one is this small enamel trinket box crafted in Bilston in Wolverhampton. In the eighteenth century, throughout the West Midlands, decorative enamels were made in various locations. Bilston was the most prolific and well known place for enamel production, especially during the period from 1760 to 1790. Its thriving enamel industry was made up of many small, family run workshops. 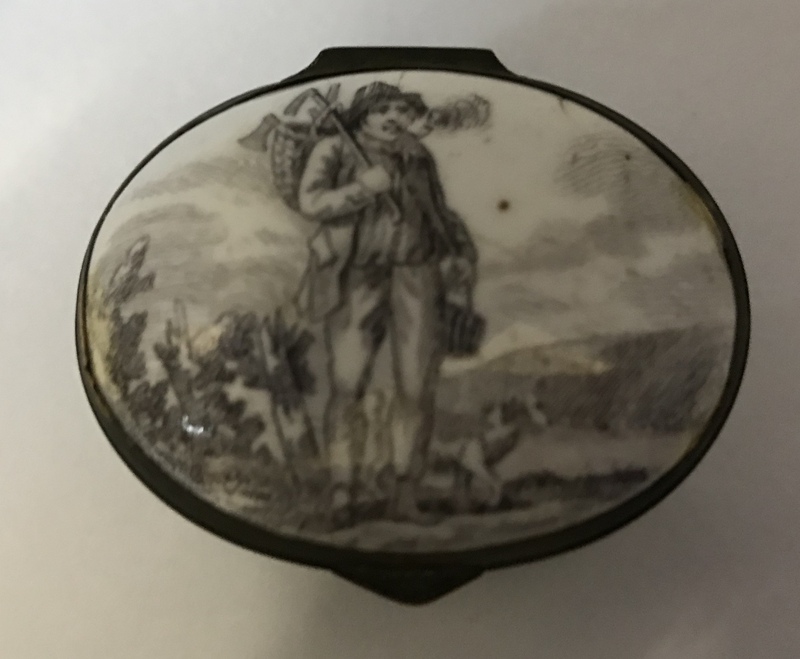 The trinket box lid is decorated with a transfer of a travelling carpenter accompanied by his dog in a rural scene. The carpenter carries his tool basket hanging from an axe slung over his shoulder. He is smoking a pipe from which tiny plumes of smoke can be seen emerging. This transfer would have been created from a metal transfer plate engraved by the artist. The attention to detail displayed by the transfer highlights what an intricate and delicate process engraving transfer plates was for the artists and craftsmen involved in the enamel trade. 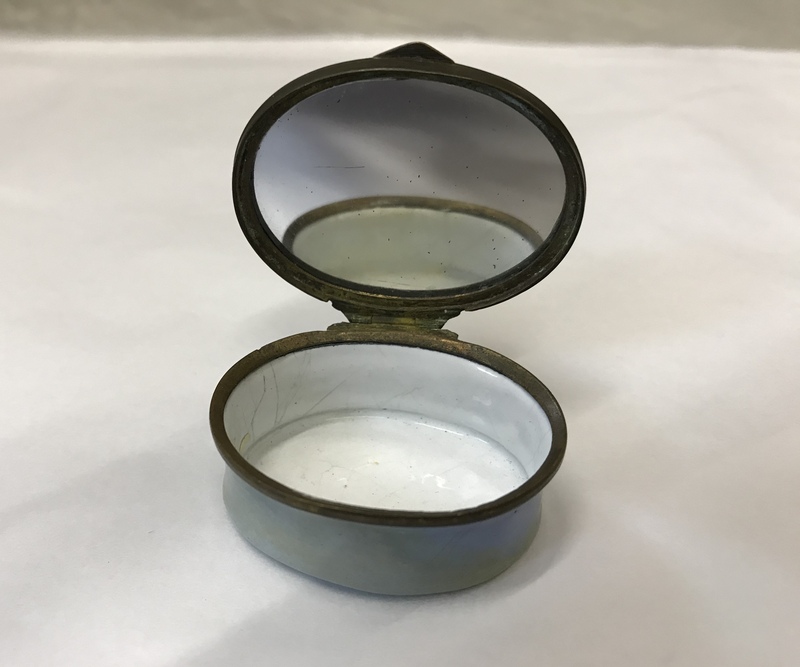 Inside the trinket box, an oval mirror nestles within the lid. I particularly like this object because the mirror is hidden away like a secret mirror. What things might have been kept in this little container in the past? Perhaps, an item of jewellery or lock of a loved one’s hair. In Georgian society decorative containers were very fashionable. Snuff boxes, bonbonierres (for sweets) and especially, cosmetics cases were all popular. The inclusion of a mirror in our trinket box suggests that it’s use may have been cosmetic or vanity related. I wonder whose reflections the miniature oval mirror has contained over the years?